Explore Argentina through its unique tastes and flavors. 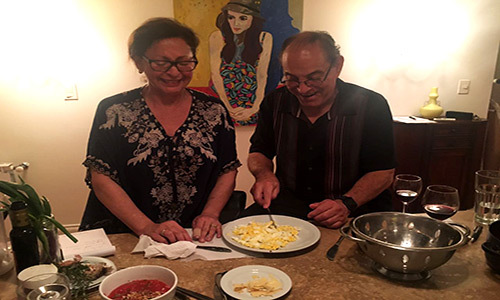 Learn how to prepare our beloved dishes in the comfort of your apartment or have them prepared for you by a professional chef. The following programs have been carefully and exclusively created for our guests. They can, of course, be tailored to your specific needs. Please contact us at: reservations@poetrybuilding.com if you are interested in any of them or if you have any questions. 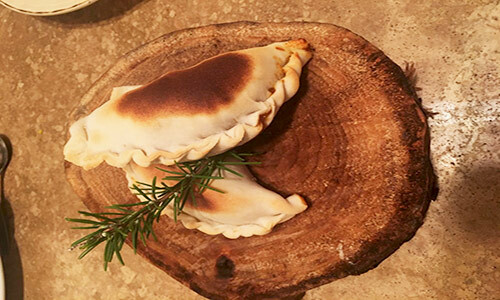 “Empanadas cortadas a cuchillo” – Individual meat pies in a home-made dough. “Provoleta rellena con tomates secos y longanizas” – Grilled provolone cheese stuffed with sun-dried tomatoes and italian sausage. “Milanesa Napolitana con guarnición” – Breaded cutlet topped with ham, cheese and tomato, sided with mashes potatoes – OR “Humita” – Corn paste wraped in corn husks. “Flan con dulce de leche y crema” – Crème caramel with milk caramel and whipped cream. *Optional ham & cheese empanadas for children. *Wine pairing included in the price. *Bookings need to be confirmed at least a week in advance. 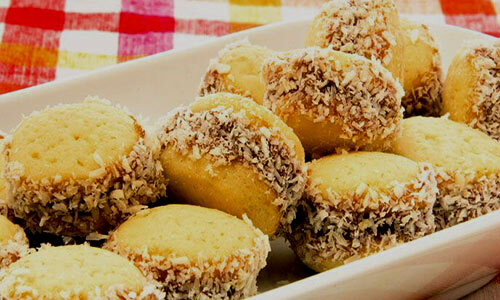 If you are more of a “sweet tooth”, the “merienda” (afternoon snack) option will suit you perfectly. This is also true if you are just curious about our complex tradition of drinking “mate,” a typical herb served and shared in a special way. This is something best learned from a local, as there are no “tours” from which you can incorporate this tradition. “Alfajores de maicena con dulce de leche” – Cornstarch cookie sandwich with caramel filling. *Alternative pastries can be prepared, as well. 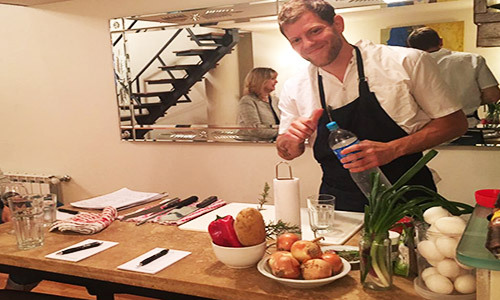 Ideal for special occasions like birthdays, anniversaries, honeymoons or just for a romantic evening, we can arrange for a private chef to cook for you in your apartment. The menu can be tailored to your personal interests in line with the chef’s suggestions. Bookings need to be confirmed at least a week in advance. Full payment is required in advance and is non-refundable once confirmed. Exclusive use of one of the outdoor terraces of the building. Six-step menu plus dessert (food options will be sent by e-mail). Menu options can include vegan, vegetarian and/or poultry, fish and meat options. Excellent local red and/or white wines included. Waiters, silverware and flower arrangements included. Background music and/or live music (optional). In case of rain, it can be held in our lobby. Details must be confirmed within 10 days in advance of the event. Full payment is required in advance and it is non-refundable once all details are confirmed. Please contact us at: reservations@poetrybuilding.com for inquiries, reservations or any questions.